I asked the design team about Bruticus's faction symbol at the last Botcon, and their response was, "Wait, he doesn't have G2 symbols?" They seemed genuinely surprised. I imagine that the figure was supposed to have G2 insignias, but that got lost somewhere in translation. Could be something similar to the Jazz MAGA situation. More like Titanium Series Cheetor, in which Hasbro asked for "a Cheetor" and they went with the Beast Machines one, the "wrong one" as it turned out. Sounds like when the old design team was asked at SDCC 2013 about the possibility of getting a Metrotitan redeco from Titan class Metroplex, and their response was "Who?" Centaurus Prime wrote: wave 4? I wonder if Jazz's repack in Wave 3 will differ at all in packaging from Wave 1. He's shown as part of Elita Inf1nite on the side of his blister pack in Wave 1, but maybe in his second run, they'll change the art to reflect Firestormer (a.k.a., the Inferno torso) instead, which would be a more concurrent release to Jazz's scheduled appearance in Wave 3? Don't get me wrong here i frickin love Wreck gar but this one is'nt looking to be anything to write home about i mean i'll still get him sure but they could've done ALOT more to retool him. Nemesis on the other hand i've been waiting forever for them to do a proper alternative to MP 10B and he looks drop dead georgeous. But i'm curious to see what kind of shoddyfiction they'll cobble together to explain away an Evil Orion Pax. On that note can i just point out how ruddy beutiful this mold is? Well it's hardly surprising since it looks a tonne like MP 10 just with slightly less articulation , Build Quality and paint plus the alt mode is more than a little off but still if MP 10 is considered the best G1 Prime ever can't this mold be considered the best what will be called CHUG in a year Prime there is? if not just the best Orion Pax? i mean c'mon let's be honest here he has'nt ever really had a toy that really nailed it did he. Prime Target wrote: Don't get me wrong here i frickin love Wreck gar but this one is'nt looking to be anything to write home about i mean i'll still get him sure but they could've done ALOT more to retool him. Well, Leader Evolution Optimus Prime may have the best robot modes but his cab part suffers horribly for it and his Orion Pax made has massive kibble, so he's sacrificed a lot to achieve that Leader Class Robot Mode, unfortunately. PotP Wreck-Gar won't replace Transformers Unite Wreck-Gar in my collection, but it will serve an important purpose as another limb bot for my growing collection of combiners. 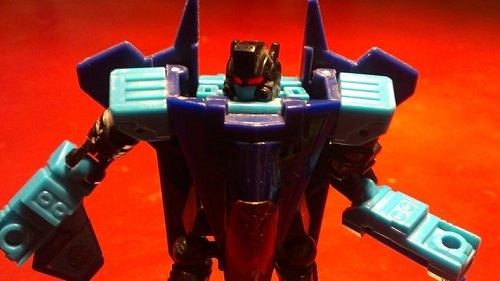 He'll probably join Jazz, Alpha Bravo, and Rook as limbs for Inferno's torso mode to form "Firestormer." Honestly, I keep coming back to CW Prime for my default Optimus. If I had t sold him, it would be a tossup between CW and Classics, but I actually ended up loving the CW Proportions. 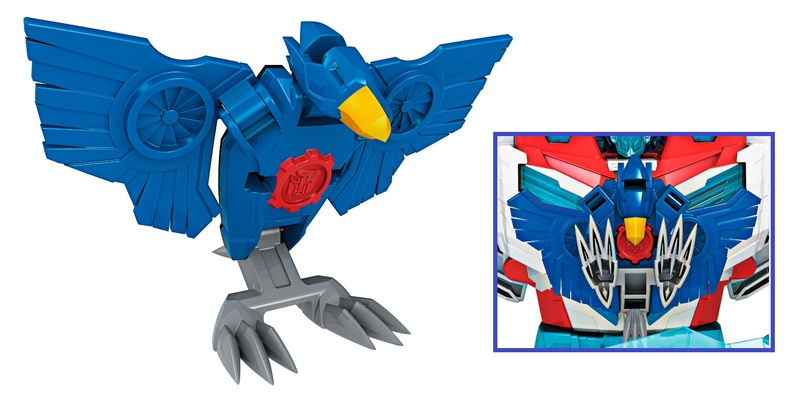 Perhaps they're saving Aerobolt for a premium Optimus Prime repaint down the road? I never get tired of hearing this story, or the Metrotitan story for that matter. Hasbro's final wave strategy is to have only one new figure in most scales so Novastar will be the only new figure in deluxe wave 4. Would this Nemesis Prime possibly be a San Diego exclusive? 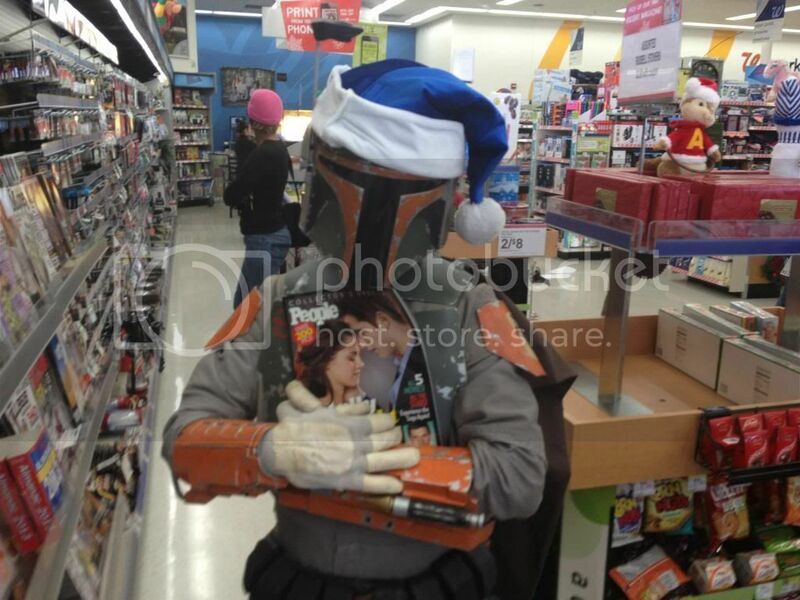 I just check all my local Wal-Mart's and Targets. They all just restocked wave 1. That's weird for me considering I found Rippersnapper last week at Target. I'm glad I preordered Hun-gurr from BBTS, which has now sold out for the third time, I believe. PotP Terrorcons >>>>>>>>> PotP Dinobots. Then we'd be complaining about hollow limbs and blockiness, as that's pretty much inevitable with gimmicky Leaders and up. And it's all weight-related, trust me. If you size up the dimensions by a factor of 2, the total weight will quadruple (2 squared), so plastic has to be eliminated in places to make it lighter. I thought volume was cubic... Anyway, people get the idea... right? Volume is, but weigbt is more related to the volume than surface area. Homestly, I'm not sure we all do. And I font mean that in amy derogatory way, I just mean that unless you deal in a career of weights and such, its not something that we give much thought to. We think "Well just make it bigger" but dont neccesarily comprehend how that impacts toy production. Yeah, that's why I said no gimmicks. Does Blot's mouth open in beast mode? Has anyone figured out what all of Elita 1's stickers say? There is also a paint app on her legs (painted in salmon) that has some writing on it but its so small to make out. I definitely must have the rest of the Terrorcons & Novastar! But no repacks of Moonracer? I was happy to finally see her at Target, but still nowhere else. We still have plenty of wave1. 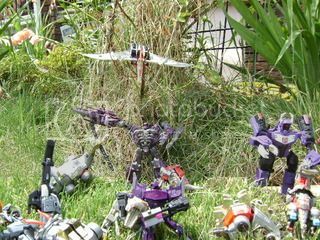 I wish you'd stop putting tm2 dinobot in pictures bodrock, it's making me want him again I feel he was often misjudged but I loved the frankenstein monster look, and like the monster had a good heart after all, reminding us that megatron/humanity is the greatest monster. Anyway, I'm quite happy with how the dinobots turned out in potp, making them voyagers and leaders would have made it more expensive for some to collect all of them (and make many have to online only when they may prefer to hunt in real life...unless like me they live in the UK where it'll be a pain anyway due to the way they work distribution here) now in the future they could spread the dinobots over the three year toy line so we'd get two voyagers a piece for the first two years and then a leader for the last one. For me though, I'm more than happy with these, I don't care for scale. I can't help it ZeroWolf! I only recently acquired Dinobot II (~$30, MOSC -- but obviously opened him up! ), and I love the Frankensteiner look to him, too. But as for the original Dinobots in PotP, I've only picked up Swoop -- the others look good, too, but I have other incarnations of them I am enjoying. They're a great option for many reason, though! I haven't looked very closely at the markings on Elita-1 -- she's still spending most of her time combined with the Torchbearers.